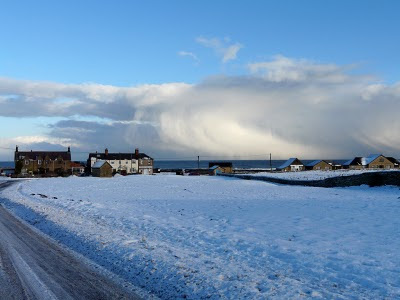 Not much snow on the land today, but as I slid my way to Druridge today it was certainly snowing offshore from Cresswell. Druridge was white and bright, a crisp, cold day. There wasn't many people about either, though it sure to be busy over the next few days, the road is well dicey near Cresswell Pond so that might have a few people turning back. I walked along the road via the Budge screen and back along the beach. 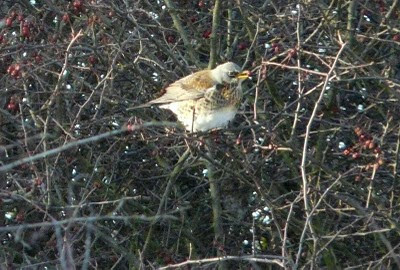 There were a few thrushes about and I soon had all the common winter thrushes in the bag, including this fieldfare gulping down haws. There was a large flock of siskins moving through the bushes, feeding on the bountiful alder mast, I counted about 40 and grilled them for redpolls without any luck. 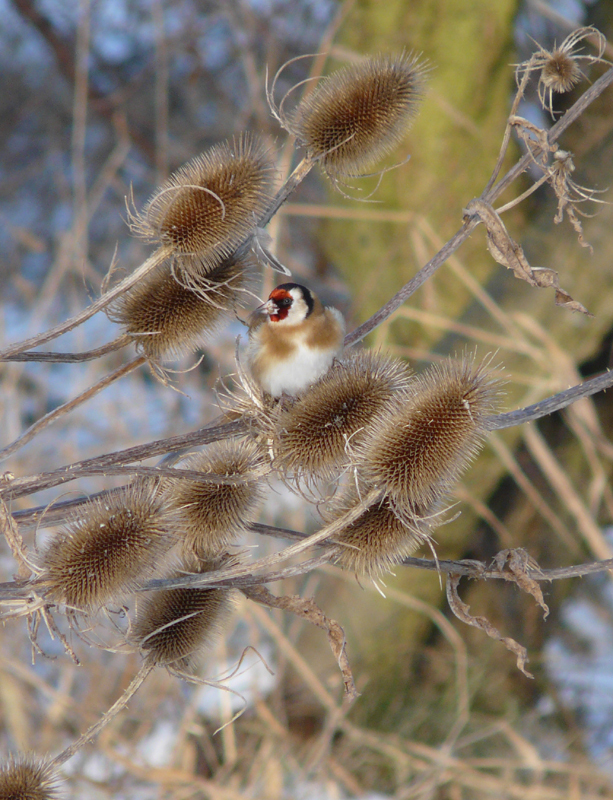 There were a few goldfinches in with them though, this one was obviously bored with alder seeds and feasted on a teasel instead. 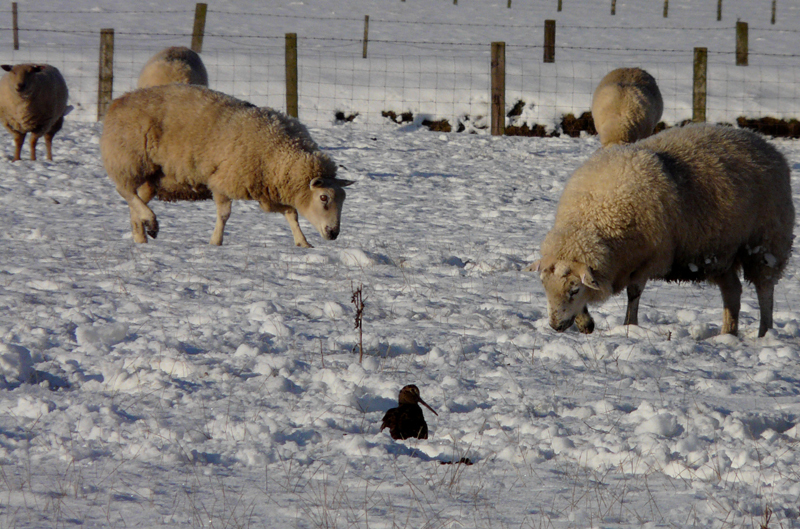 There were still lots of woodcock about, it was almost comical to see several trying to feed in amongst the sheep like the grey partridges were doing not far away, plenty of them too with coveys of 10, 11 and 25. 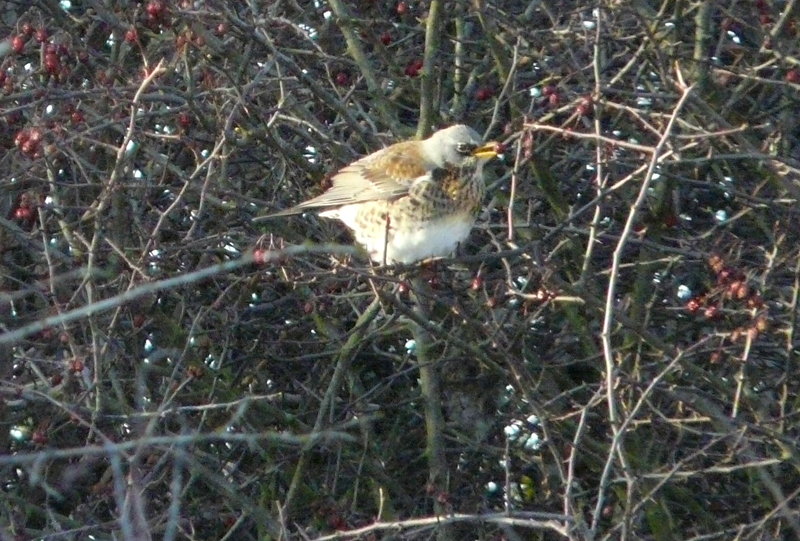 The beach was almost devoid of birdlife sparing a pied wag and a handful of sanderling. 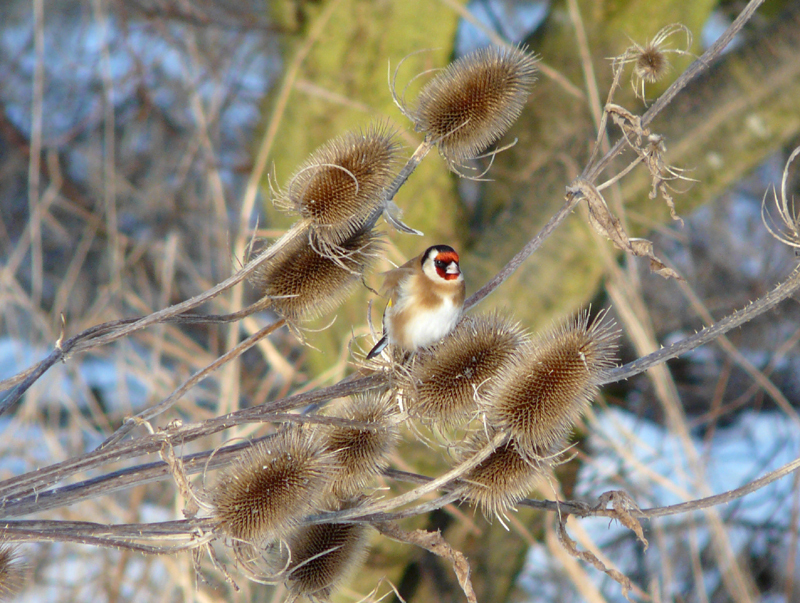 It just leaves me to say "Merry Christmas" to you all and enjoy your festive birding! 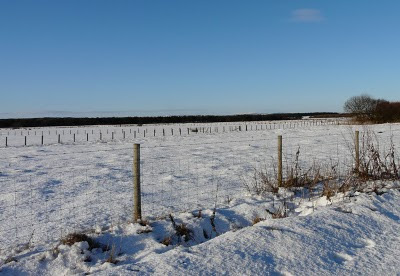 I'll be at Druridge for our traditional Christmas Day walk tomorrow, I am not sure the blog will get updated though! 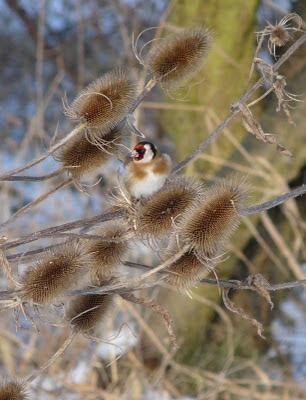 Great composition of Goldfinch in Teasels. 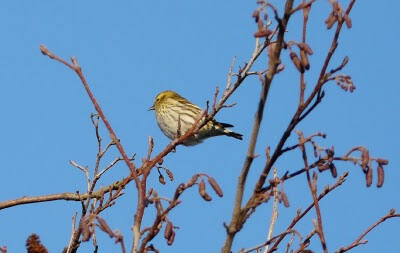 I managed 51 species yesterday walking from home to chev burn yesterday (via druridge).